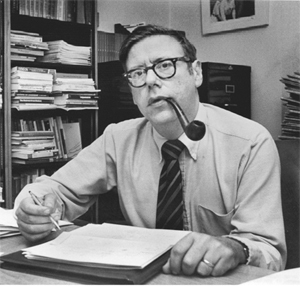 Arthur Okun combined his special gifts as an analytical and theoretical economist with his great concern for the well-being of his fellow citizens into a thoughtful, pragmatic, and sustaining contribution to his nation’s public policy. Extraordinarily modest personally, he was a delightful and trenchant activist on behalf of others — both as members of our whole society and as individuals. He touched many, many people in ways they will always cherish. Offered in affectionate appreciation of Art’s gifts, this lecture series seeks to recognize and encourage professional economists to search for policies that will contribute to the betterment of life and living. » Who Owns Science and Engineering? » Privatization and Corporate Governance: Wealth Creation or Asset Stripping? » Real Wage Rigidity in Europe: Reality or Illusion? » A Century of U.S. Economic Fluctuations: Why Has Performance Improved? John Paulson, President and Portfolio Manager, Paulson & Co. Inc.